Among Richard Strauss’s little-performed operas of his later career, Die schweigsame Frau (The Silent Woman) seems the greatest loss to the mainstream repertoire. It was fated to be sidelined from the start, given Strauss’s choice, in mid-1930s Germany, of an Austrian Jewish librettist in Stefan Zweig. It survived for three performances after its premiere in Dresden in 1935 before a leaked letter from Strauss to Zweig criticising the Nazi regime reached Hitler and caused it to be pulled immediately from the repertoire, a state it inevitably endured until after the war. Yet this seems to have been one of Strauss’s happiest collaborations, Zweig’s wordy but suggestive text inspiring in him his one truly uninhibited operatic comedy – a delightful three-hour scherzo of a work, full of musical banter and fleet-footed energy that some have even compared with Verdi’s Falstaff. Without disowning the whole of Strauss and Zweig’s period setting (the creators had already moved Ben Jonson’s early 17th-century original to Handelian London), Guy Joosten and Johannes Leiacker have set Die schweigsame Frau (The Silent Woman) in the present, but a present in which the main character is living in the past. A compilation of nautical film scenes shown during the Potpourri overture – in which Pirates of the Caribbean featured strongly – suggests the back-story of Sir Morusus’s hearing damage from cannon blasts. The curtain rises on a desert island (liberally planted with cacti, rather than the true meaning of a deserted island), created in his home by the old sea dog, who lives like a bedraggled hermit in his treasure trunk to avoid the noise of the outside world. 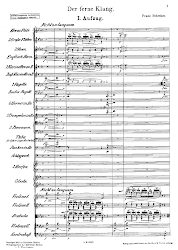 Playing on the idea of ‘no man is an island’, Joosten thus explores the opera’s more fundamental theme of freeing Morosus from his self-imprisonment through his nephew’s cunning scheme of attempting to ‘marry’ him to a supposedly silent wife. 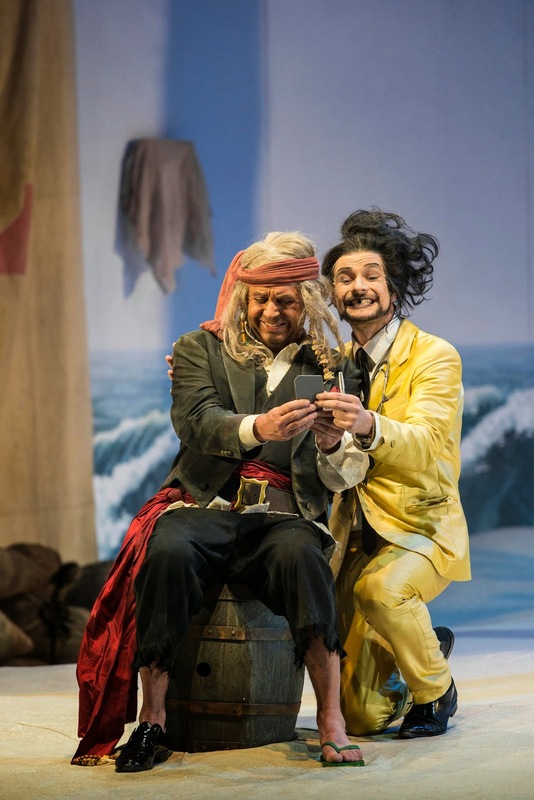 But there’s nothing didactic about this approach, rather a surfeit of charm and irreverence, from the over-the-top costumes to the sometimes larger-than-life characterisation. 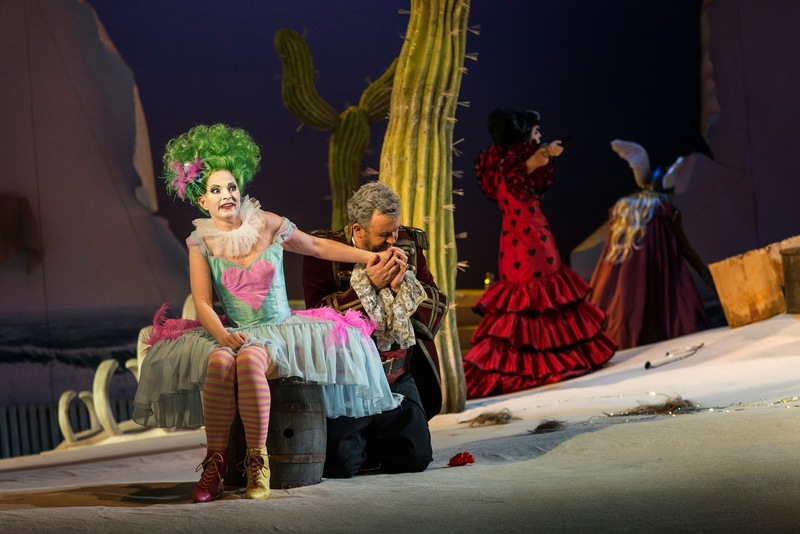 The island setting seems to play on the opera’s humorous nod to Strauss’s Ariadne auf Naxos, already suggested by the composer in the disruptive presence of a troupe of opera singers and lead role for a coloratura soprano, and there was indeed a hint of the commedia dell’arte in their portrayal. 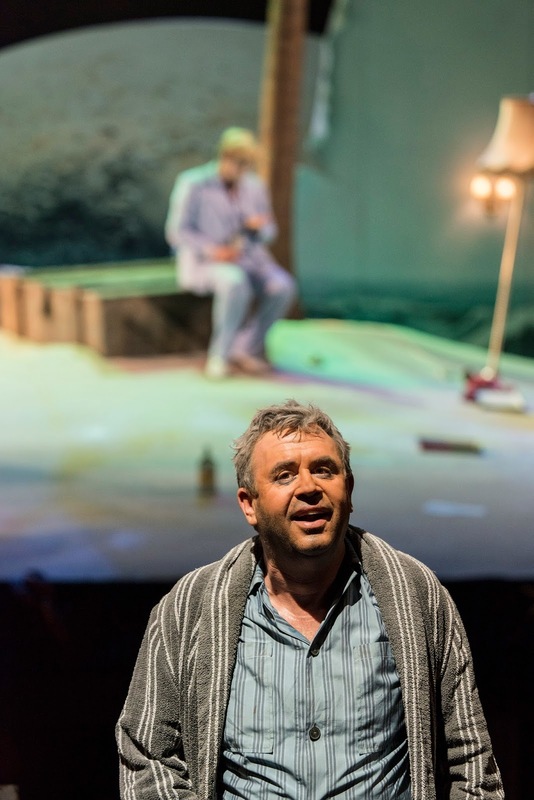 Franz Hawlata seems to take the role of Morosus wherever Strauss’s opera is performed these days, including in recent productions in Chemnitz and Munich. He thus inhabits the role completely, both vocally and physically. His final ‘aria’ - ‘Wie schön ist doch die Musik’ ('How beautiful music is, and even more beautiful when it is over'), sung as he begins to explore the world beyond his isolation by leaving the stage and edging his way to the front of the stalls - was glorious in its tonal warmth and depth, especially for those of us lucky enough to be sitting nearby, and one sensed the feeling of the character being at one with himself through his final, basso profundo repetitions of ‘Ruhe’ (‘peace at last’). Bernhard Berchtold, a lyrical tenor of Mozartian nimbleness, was a substitute for the advertised Henry (at what timescale wasn’t clear), but as a former exponent of the role in the Chemnitz production, he fitted into Essen’s staging with little or no sign of not having been there from the beginning. Threatening even to out-stage Hawlata’s Morosus, Martijn Cornet’s acrobatic Barber kept his baritone focused and lithe in the face of a daringly athletic performance. As Aminta, Henry’s wife who poses as Sir Morosus’s shrew-like betrothed, Julia Bauer gave a spirited account – I love Strauss’s joke of making his supposedly ‘silent woman’ a coloratura. The smaller roles were taken with equal distinction, among them Marie-Helen Joël vocally secure Housekeeper. The Essen Philharmonic played Strauss’s miraculously febrile and busy score like a dream – in over 20 years of hearing Martyn Brabbins’s conducting, this is the best he’s done.